The original Dark Souls was my least favorite game in the venerable Souls series by a pretty wide margin. The reasons are numerous, but in a nutshell I just wanted to be done with it by the time I got to Gwyn. I was so aggravated that I skipped the Artorias of the Abyss DLC, which is regarded by many as the high point of the entire series. Being as obsessively completionist as I am about these games, I have to go back and take care of it before Dark Souls 3’s final expansion is released. I turned to GameCritics’ resident Dark Souls apologist Mike Suskie for guidance and counsel. The latest portion of our correspondence is below, with more updates to come as I progress through the game. Enjoy! So Duke’s Archives. This place and Sen’s Fortress are what kept me going after the horrors of Blighttown on my first playthrough. Out of all the areas in Dark Souls this is the one I remembered the most about, and the second trip was, as expected, a treat. Between the layout, the location, the enemies, and the boss, I feel like this place tells it’s story better than any other area in the Soulsborne universe. The story of Seath in particular I think is my favorite piece of lore in the entire series. An outcast dragon betrays his own kind to the human gods, gains fabulous wealth in the process, and then becomes a mad scientist obsessed with immortality and kidnapping young maidens. That’s an awesome myth. Seath has even more significance for me now since the two sequels both reference him so heavily, plus Logan’s state after he begins to learn the unfathomable knowledge in the archives is even more poignant now that I’ve seen what happens to Duke Tseldora and Oceiros in the sequels. As for the level itself, walking outside onto one of the balconies for the first time and seeing *everything* is the most satisfying moment in the game. The archives plus the Crystal Cave is a great symbolization of Seath’s madness, with the crystals taking over the library like weeds taking over an orderly garden. This isn’t a newfound appreciation since I liked it lot during my first playthrough as well, but once again, DSFix and 60fps make this place absolutely amazing. And Seath himself, good lord. I know you’re a fan of Gaping Dragon and that’s definitely a good one, but Seath is my favorite monster design in the entire series. He’s a three-tailed fairy dragon for god’s sake, just the right mix of fearsome and majestic. I’m still disappointed that I was never able to find a good Seath statue to put in my office, because if I’m going to have one of those ridiculously expensive things that keep coming out with video games, I want it to be him. The one complaint I have is that Seath has curse abilities, and without the Cursebite Ring he can be a rough time. One thing I’ve noticed this time around is that Dark Souls has a habit of punishing the player *very* harshly for not having some specific items in certain places. It feels like an illusory way to make things seems much more difficult then they actually are, and I’m glad it mostly went away in the later games. Still, great level, great boss, great lore, just great all around. Now all that’s left before the DLC is Catacombs and Tomb of the Giants, which I honestly remember nothing about other than the skeleton dogs and the darkness gimmick. I know this place gives a lot of people fits, but I don’t recall it being all that bad. We’ll see. I see you’ve sent me two letters since I’ve had the opportunity to respond, so this one’ll likely be longer than usual. Or maybe not! I haven’t written it yet. We’ll see. The incongruousness of Ornstein and Smough is honestly one of the things I love about it. The fact that they’re so wildly different makes it easy to focus your attacks on one or the other, depending on your play style. Thinking back on some of the series’ boss fights against multiple foes, my enjoyment of such battles tends to rest on how different they are. The nadir, for me, is the second phase of the Darklurker fight in Dark Souls II, where the guy (gal?) literally just clones himself (herself?) and now you’re fighting two of them, with the same movesets and everything. Just feels like a lazy way of inflating difficulty to me. With Ornstein and Smough, it’s easy to pick a target, and each actually results in a drastically different second half. As for why they’re together, although there’s speculation as to why they’re still around (they could be one of Gwyndolin’s illusions), they originate as two of Gwyn’s bodyguards, with Ornstein in particular being the leader of the Four Knights of Gwyn (the other three you’ll meet in the DLC). Dunno if you noticed, but the two elevators in the back of the boss chamber are actually different sizes – one for Ornstein, one for Smough. So they do belong there. By the way, on the subject of Anor Londo, have you forgotten about the Painted World of Ariamis, or are you just not doing that this time? I’d also point out that there’s a nifty little Easter egg if you try to attack Gwynevere. I won’t spoil what happens, and maybe you did it already on your first playthrough, but it casts a very different light on this entire area and makes accessing the Gwyndolin fight a bit less complicated. Now then, the Duke’s Archives. This is one of the creepiest areas in the series for me – all throughout it, you get the sense that what’s happening here is WRONG, somehow unnatural and impure. The use of crystals to portray corruption isn’t really like anything I’ve seen before, and the alarm that plays when the guards are summoning those octopus monsters on you gives me chills. 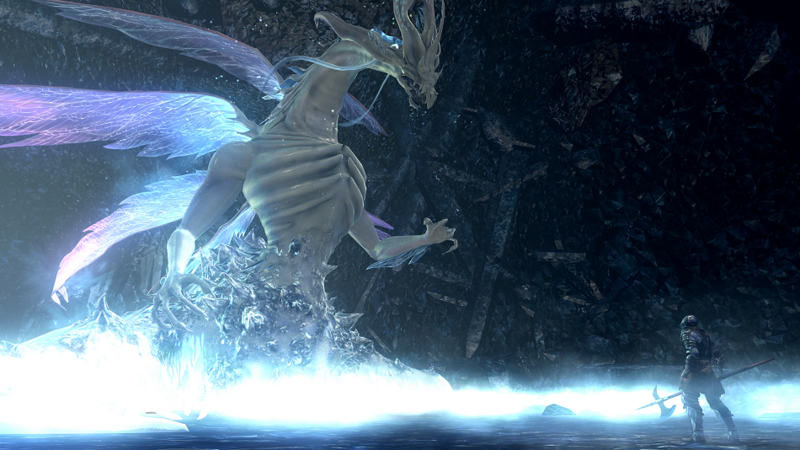 All makes sense, too – Seath is into experimentation and is trying to cheat death. The buildup to this fight is among the best of the series, as the game teases both Seath himself (in that must-lose fight) and the area where you’ll be killing him (when you first get that balcony view of the Crystal Caves). Even the music that plays during the Seath battle is unsettling, like it belongs in a funhouse. Ugh, just a masterfully done area. On my first playthrough of the game, Seath was actually one of the most difficult bosses for me, for a very specific reason. Remember how I said that the rapid-fire pace of the Four Kings fight reverts what you’ve learned about taking things slowly and with tremendous caution? Well, the Seath fight inverts another important Souls tactic: staying behind the enemy. In this battle, you absolutely want to stay in front of Seath, because the tentacles at his back and sides will give you an absolute thrashing, especially if you’re between him and a wall. 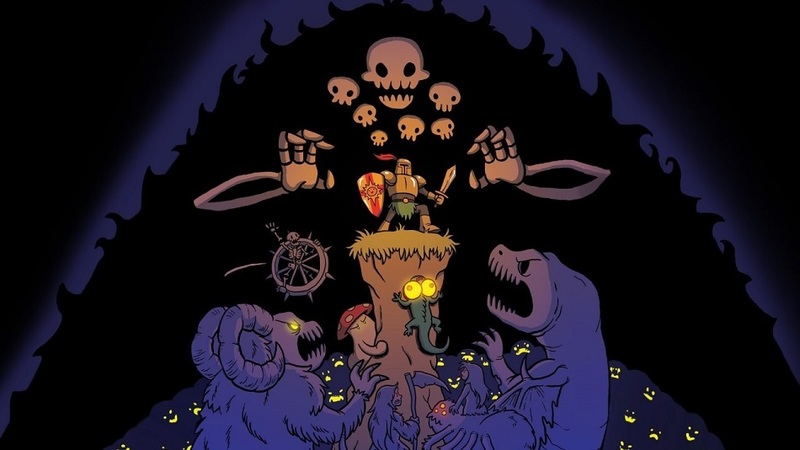 It was especially frustrating because this battle has one of the longest run-ups from a bonfire in the entire game – every time you die, you’re taken all the way back to the Archives and have to make the long trip back down through the Crystal Caves, past a number of golems and over a couple of damn invisible walkways. And the clams. BAH. But yeah, on subsequent playthroughs, I was amazed how much easier the fight was when I just stayed in front of him and just rolled away from his curse spells. Now it’s one of my favorite bosses in the first Dark Souls, with some damn excellent accompanying lore to boot. As for the Tomb of the Giants, I saved that area for roughly the end on my first playthrough specifically because I’d heard so many people complain about it, but by that point, I’d seriously started to find my groove and found it pretty straightforward. Plus, again, you get some unexpected views of other areas. Just be careful with Pinwheel. Snicker. As I received this I was typing up my next letter about Tomb of the Giants, so you came very close to receiving *three* letters with no chance to respond. Regarding the Painted World, I did go there after beating Ornstein and Smough, though I was so excited to talk about Duke’s Archives I forgot to mention it. It’s a cool area to be sure, made more unique by the fact it has a boss that I refuse to fight on principle. It goes back to Demon’s Souls and it making me murder Maiden Astrea in order to progress — I felt *really* bad after that. Priscilla just asks you to leave nicely, and if she isn’t going to mess with me, I’m not going to mess with her. Beyond that I didn’t spend a ton of time exploring the area since I don’t think there’s a ton of useful items for my build. Also yes, I took out the Gwynevere illusion and dealt with Gwyndolin just after completing Tomb of the Giants, just to tidy things up. That is indeed a nifty easter egg, and it makes total sense for Anor Londo’s brilliance to be an ruse given the state of the rest of the world. Tomb of the Giants is a level I actually liked quite a bit. It’s one of the few instances where such an explicit gimmick works well, mainly since it maintains a good balance between tension and fairness. The tension is obviously because of limited visibility, but I feel like it’s fair since enemies have very short aggro distances (IE they don’t just pop out of nowhere in most cases) and the actual level is pretty short. It’s a neat little trick to make such a small area so memorable. However, I had forgotten how big of a crock Nito is. Forcing you to take fall damage (absent the Fall Control sorcery) is bad enough, but the first 10-15 seconds of the fight can be almost impossible if he decides to spam that blasted screaming sword attack. It’s also another instance of extreme punishment for not having a specific item. Got a Divine weapon? You’re good if you can get past that initial rush. Don’t have a Divine weapon? I can feel the game pointing and laughing. Nito also has *the worst* boss run in the entire series, worse than the Four Kings. As I’ve said before, put a bonfire either at the boss gate a la Fume Knight or give me an easily accessible shortcut. Conveyed hardship through level design be damned. And with that, it’s time for the DLC. I’ve always somewhat liked the fact that there is still a bit of Souls out there that I haven’t played. As long it remains unexplored, I’ll always be able to look forward to it, you know? However, given my recent mental state I think it’s an appropriate time to break the Emergency Souls Glass and go through it. I still need to finish off a few more upgrades, but other than that I’m ready for it. Any final tips? I don’t have much to add other than to wish you luck and enjoyment with Artorias of the Abyss. Again, this is my favorite DLC of the entire series (though The Old Hunters certainly comes close) and likely my favorite stretch in any Souls game, and the bosses in particular are spectacular. You’ll actually get hit with one as soon as you enter, and my only advice is that when it pounds into the ground and sends out a big shockwave, lower your shield. Otherwise, you’ll get staggered. Took me a while to figure that out. My favorite boss of the Souls series, Kalameet, is in here as well, and from what I know about you, I suspect Artorias will rank as one of your all-time favorites. Again, good luck and have fun. I hope I haven’t overhyped it. Hi, thanks for a large article. Personally I like DS2, because this game is more interesting and better configured than DS3. Afkors, I can’t disagree that DS3 has really nice mechanic changes. EDIT: please do not post links in comments.